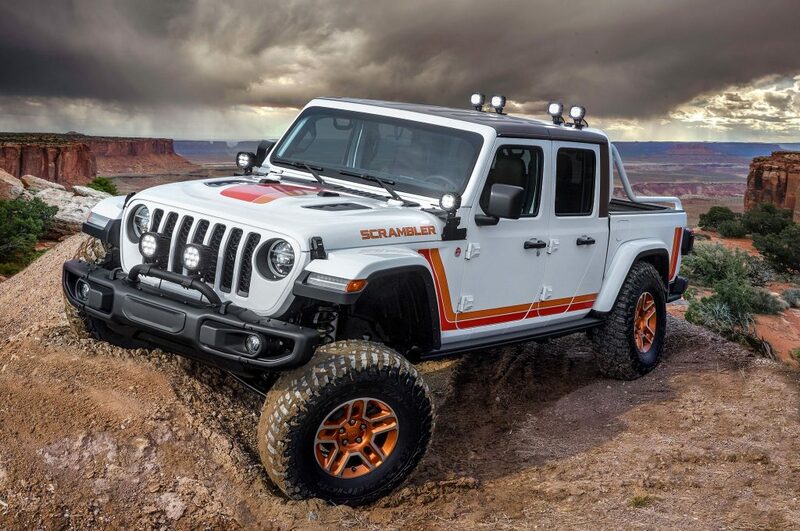 In what can only be interpreted as Jeep putting its brightest flood light on its soon-to-be-released 2020 Jeep Gladiator Wrangler-based pickup, all six of the Jeep concept vehicles being shown off at the 2019 Easter Jeep Safari in Moab, UT are pickup trucks. 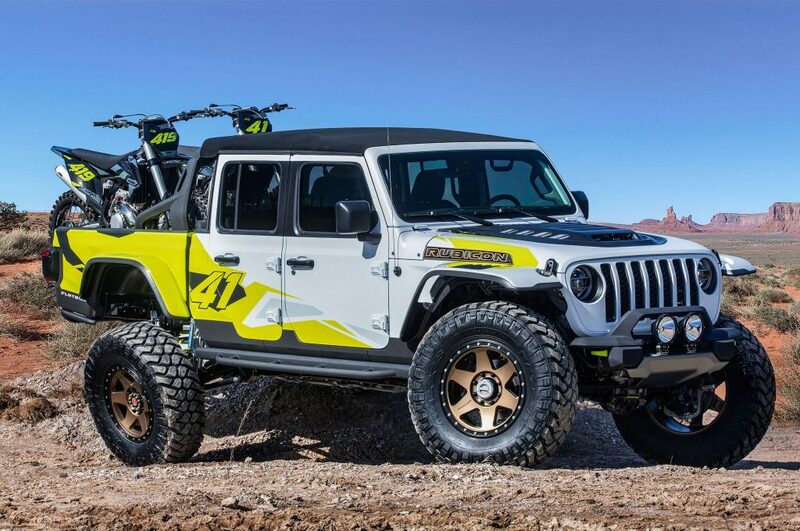 We don’t think anyone will be disappointed, minus the part where we usually never have the opportunity to buy and drive any of these fantastic rigs Jeep teases us with every year in Moab. Nonetheless. They’re great. Check these out. 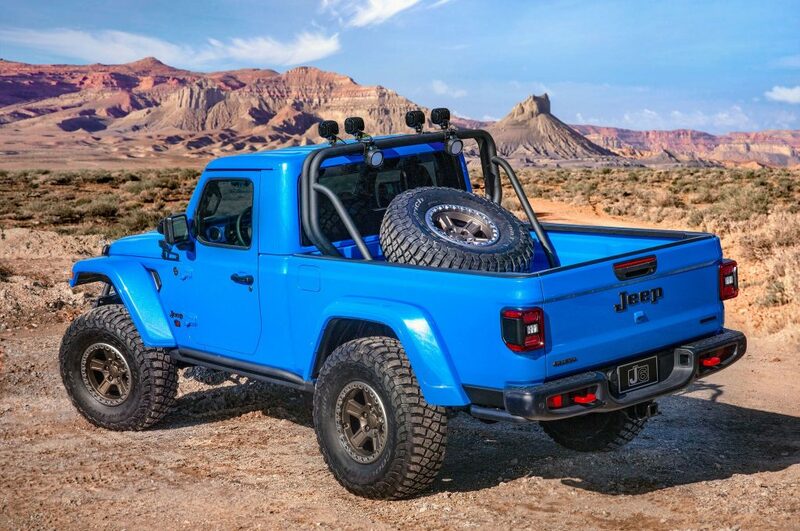 If you like clever things, like a modern off-road warrior dolled up in 1981-’85 CJ-8 Scrambler color schemes, then like us, you’ll like this excellent JT Scambler concept. Overlanding is getting more popular in the United States. 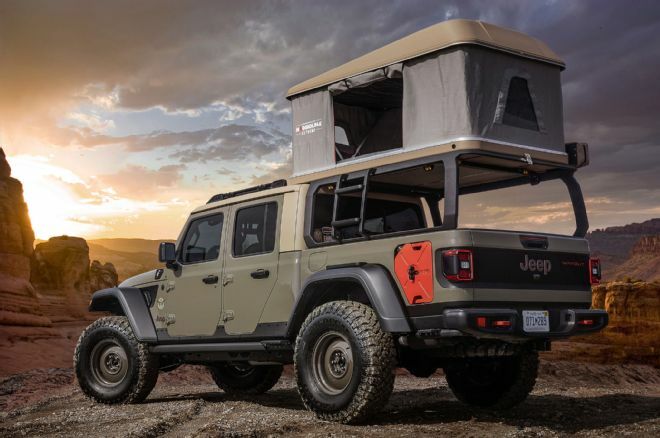 It’s possible someone has made a vehicle we’d rather take on an overlanding adventure than this Wayout concept, but if that’s the case, we don’t currently know about it. This simultaneously gorgeous and intimidating beast is based on the 1968 M-715 “Five-Quarter” military truck. 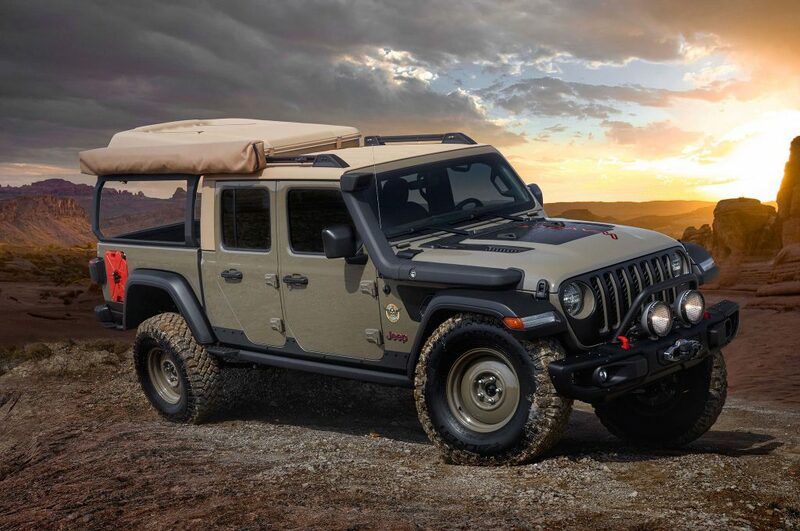 It’s certainly style over functionality, but Jeep does style so good that we want it anyway. ALSO. Vintage Jeep logo, which you’re about to see again. You see it, right? That excellent classic Jeep logo? 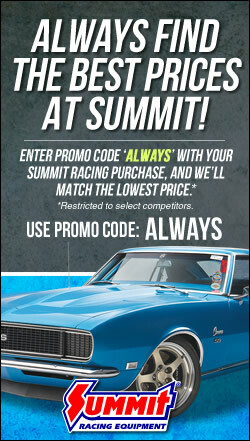 As beautiful as a mountainous vista, it is. 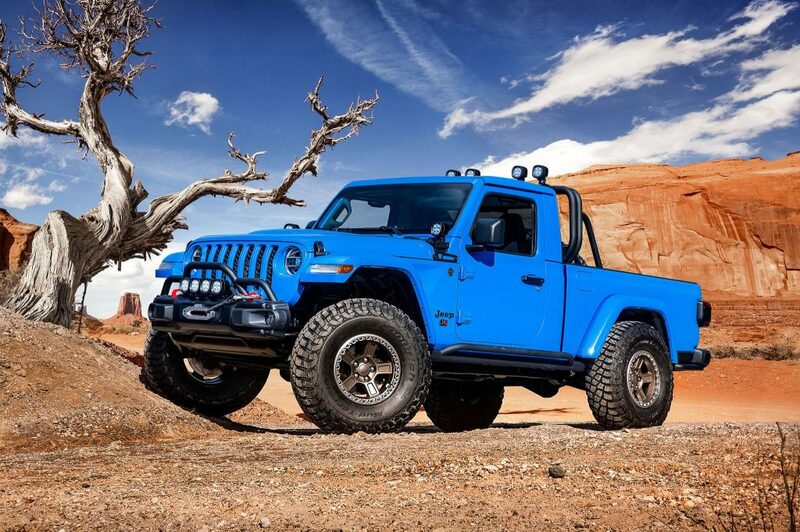 That blue paint job is an homage to the 1978 Jeep Honcho, according to an article in Truck Trend. 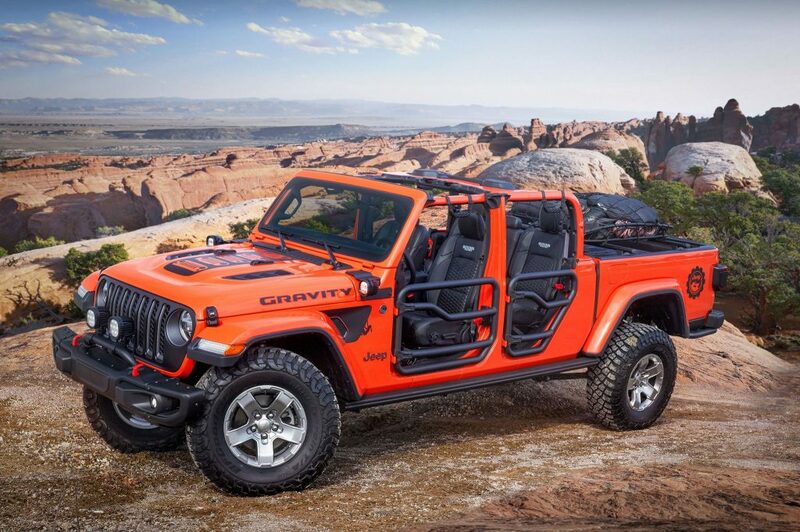 The Gravity is built for rock climbing. 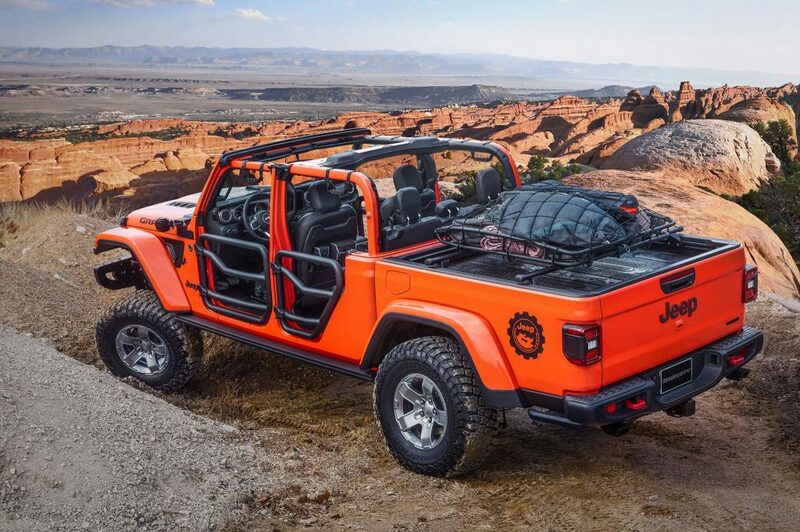 For whatever it lacks (if anything) in the rock-crawling department, it makes up for as the ultimate adventure vehicle for rock and mountain climbers. 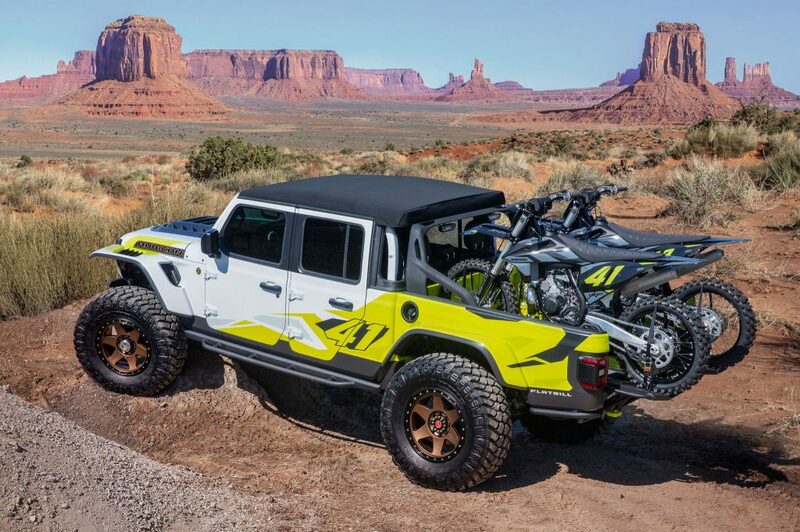 Just as the Gravity is tailored for rock climbers, the 2019 Jeep Flatbill concept is optimized for motocrossers. High-clearance fenders. Vented hood. And a no-tailgate bed perfect for loading and unloading bikes.